Alaina B. Teplitz, has been nominated as the next United States Ambassador to Nepal on Friday, the White House said in a statement. Teplitz will succeed incumbent Ambassador Peter W. Bodde. Bodde will return home after a few months. Teplitz’s name will be endorsed by the US Senate very soon. In a recent meeting with Prime Minister Sushil Koirala, Ambassador Bodde had informed that he would Nepal shortly completing his three-day stint. Newly-nominated Teplitz is a career member of the Foreign Service, class of Minister-Counselor. She has been serving as the Director of the Office of Management Policy, Rightsizing, and Innovation at the Department of State since 2012. 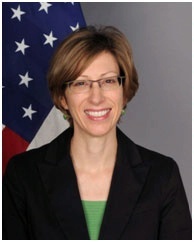 Previously, Teplitz served as the Management Minister Counselor at the U.S. Mission in Kabul, Afghanistan from 2011 to 2012, Deputy Executive Director in the Department’s Bureau of Near Eastern and South Asian Affairs from 2009 to 2011, and Director of Management Tradecraft Training at the Department’s Foreign Service Institute from 2007 to 2009. 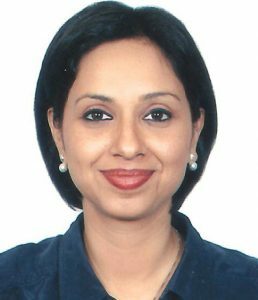 According to the US Department of State, Prior to that, she was the Deputy Director of Joint Administrative Services at the U.S. Embassy in Brussels, Belgium from 2004 to 2007, Management Officer at the U.S. Embassy in Dhaka, Bangladesh from 2002 to 2004, and Program Analyst at the Center for Administrative Innovation at the Department from 2001 to 2002. After joining the Foreign Service in 1991, she served in the State Department’s Bureau of Administration, as well as in posts in Australia, Albania, and Mongolia. Ms. Teplitz received a B.A. from Georgetown University. Similarly, Obama has nominated Atul Keshap and Julieta Valls Noyes as the next ambassadors to Sri Lanka and the Maldives respectively on Friday itself.